During the Cobargo Folk Festival I billeted 4 performers. They were all lovely people and it was a pleasure to host them. I asked them if there were any food preferences and intolerances or allergies. Luckily no allergies but there were a number of preferences. High on the list was gluten-free. I cook occasionally for groups of people and I find gluten-free dishes are the safest bet with most people, no matter what cuisine. With The Western Flyers, my billets, they were treated to freshly baked loaves from my friend Bhagya, who provided ‘The life-changing bread’. This recipe has been adapted through the many times she has made it. My across the road neighbour, Wendy Jackson, is one half of the duo the Passionate Fools who also performed at the Folk Festival. She has given me one of her favourite breakfast collations. 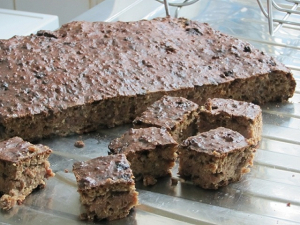 And Jen Severn who is not a performer, but is somebody who can’t eat gluten, shared her famous Raw cacoa slice. 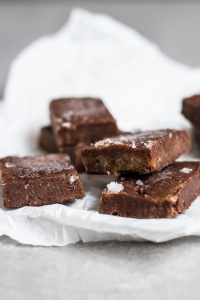 A delicious, rich, chocolaty slice of heaven which satisfies any sweet craving without guilt! Grind half the sunflower seeds and all the flax seeds. Put them in a bowl and add the rest of the dry ingredients, stirring well. Whisk syrup/honey, oil and water together. Add this to the dry ingredients and mix very well until everything is completely wetted. Spoon into pan and smooth out the top with the back of a spoon. Let it sit on the counter for at least 2 hours, or all day or overnight. Cool completely on a wire rack before slicing (difficult, but important). 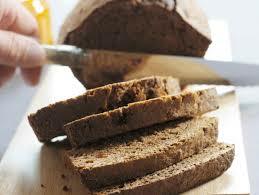 Store bread in a tightly sealed container for up to five days. 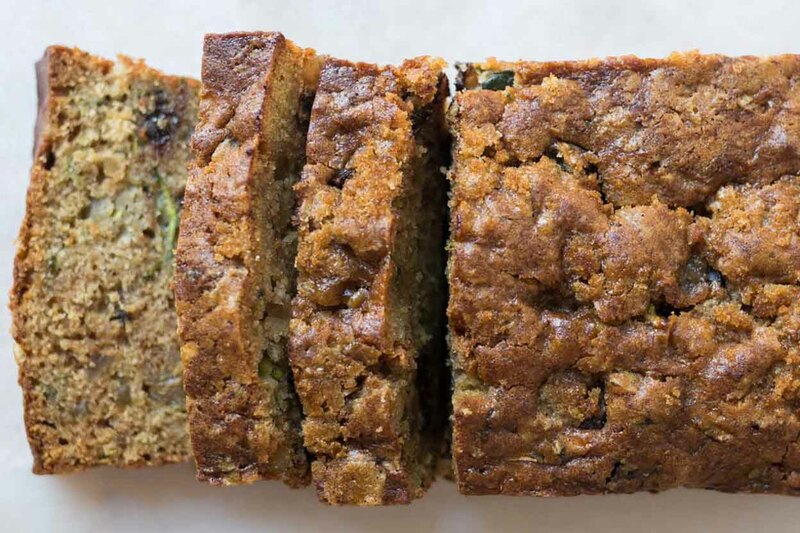 Freezes well too—slice before freezing for quick and easy toast! SOME NOTES: Be flexible with the additions; substitute sesame, cashew, etc, put in rice, quinoa or spelt flakes in part for oats. You can also add some polenta. Do not substitute the psyllium. If you have a nut allergy, replace nuts with seeds. If you grind the flax seeds you will need more water. You will also need more water if you use quinoa instead of oats. 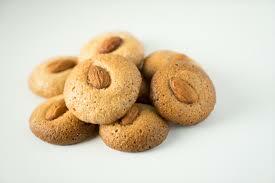 In a food processor, blend the almonds and macadamias together to create a fine meal. Add the dates, cacao, coconut oil, almond spread and rock salt and blend until a fudgy consistency. Press into a lined slice tin and scatter with sesame seeds/coconut as desired. Refrigerate for at least 45 minutes. Remove, cut into squares and keep in an airtight container in the fridge. Combine everything in a bowl. Cover and place in the fridge overnight to soak and expand. In the morning, with your serving, add more yoghurt, fresh berries or banana, coconut flakes and more maple syrup and milk if required. Absolutely delicious and filling breakfast for a great start to the day! 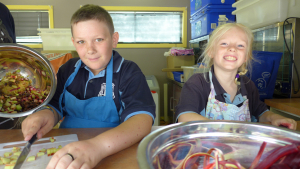 This week in Stephanie Alexander Kitchen Garden program, the students celebrated their amazing achievement of winning the Cobargo Show’s Junior Champion and First Place for the Jams and Preserves Section (under 12 years) for their delicious rhubarb and ginger chutney. What a wonderful way to start off a brand new year of learning in the Stephanie Alexander Kitchen Garden program! All students had a picnic with some crackers with cheese and their homemade chutney as a celebration of their achievements. We will certainly be growing some more rhubarb to keep up with the demand for this tasty treat! 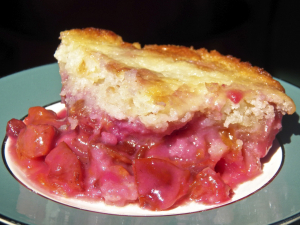 Trim and wash the rhubarb, then slice it into fairly fine chunks. Grate the apple with skin on. Heat the onion, mustard seeds, vinegar, ginger, sugar and salt in a wide-based non-aluminium pan. Bring to a rolling boil for about 2 minutes or until the sugar is dissolved, then add the rhubarb, apple, sultanas and dates. Reduce the heat and simmer for 15 minutes, until slightly thickened. Spoon it into serving bowl and allow it to cool. Sauté spring onions and spinach/silverbeet in oil. Mix remaining ingredients together in a large bowl then add sautéd onions and spinach. Lay ingredients in strips on pastry sheets. Roll tightly and cut into 5 cm segments. Glaze with oil (or milk). Bake in a moderate oven (180C) until golden brown. Serves 40 students, five teachers and parents! This refreshing, cooling soup is salad in a mug. Peel cucumbers if they’re large and cut into chunks. Pick the herbs off their stalks, wash and dry. Place everything into a food processor and blend well. Adjust for salt. 5kg ripe tomatoes, peeled (remove top core, cut a small cross on the bottom of tomato then drop tomatoes in batches in boiling water for 30 seconds. When cool the tomato skins peel off easily). Then deseed the tomatoes by cutting them in half and squeezing the seeds out. Chop tomatoes roughly then put all the prepared tomatoes in a colander to drain the night before. In a large heavy pot, cook all ingredients down for about an hour or so, stirring to make sure the chutney doesn’t burn on the bottom. If you have a diffuser that would be another safeguard against ‘catching’. You can bottle the boiling chutney into clean jars with metal lids. The boiling chutney sterilises the jar. 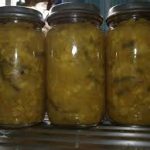 Then you can store jars out of the fridge and they will be a happy accompaniment to all things savoury in the months ahead. It’s called bread but it’s a terrific tea cake and a great way to use up those zucchinis that got away. Preheat the oven to 160C. Grease two loaf pans. Mix together the flour, baking powder, baking soda, salt and cinnamon. In a big bowl, whisk together the eggs, sugar and oil. Sift the dry ingredients into the wet and stir until just mixed in. Stir in the grated zucchini, then the toasted nuts. Put into the pans and bake for 1 hour. Cool in the pans for ten minutes. Slip a knife around the edges and remove from the pans. Wrap the loaves in film and leave for 12 hours before cutting. Slice and serve. Freezes well. 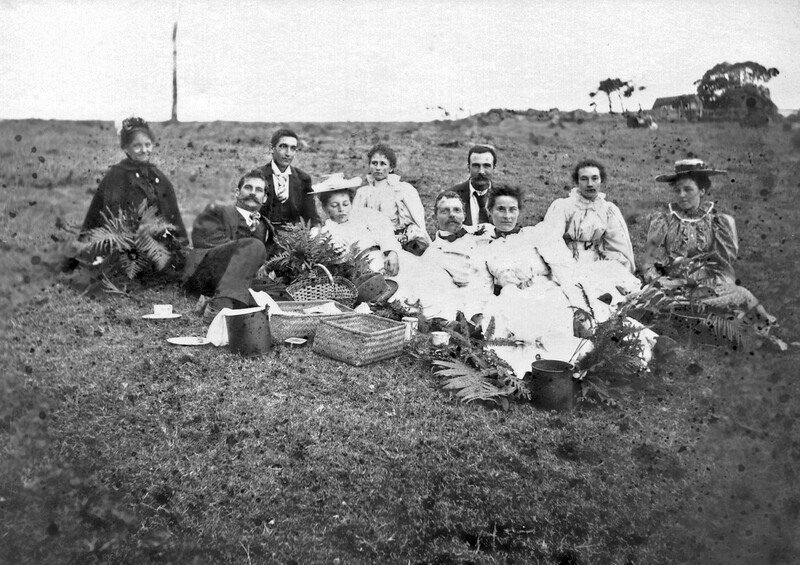 Christmas at Green Gables B&B was always a little bit special. We often had guests who simply wanted to be away from home, or overseas travellers, so it was important to make it special and homely. Preparing and serving a well-planned Christmas dinner was the focus. These two recipes are from our time at Green Gables—the first, as seafood is so fabulous in this area; the second I still make as it’s great for gifts, can be made as a log cake or as small, round, individual cakes and is delicious. Cut the fish into small cubes, making sure to remove any skin or bones, and place in a basin. Add lemon juice and salt and stir well. The lemon should almost cover the fish. Cover and refrigerate for 24 to 36 hours, stirring a few times. As the fish marinates it will change texture and look ‘cooked’. Within two hours of serving, peel the cucumber, remove the seeds and dice into small pieces. Drain the fish well and discard the lemon juice. Mix the mayonnaise, coconut and ginger and add to the fish. Lastly add all the vegetables and coriander and mix well. Serve individually or pile onto a serving plate. Garnish with extra coriander and spring onions. Mix all the fruits and nuts together in a large bowl. In another bowl beat the egg yolks and sugar together until light and fluffy. Add brandy or rum. Sift the flour and baking powder into the egg mixture with the pinch of salt and mix well. Beat the egg whites until stiff peaks form and fold into the batter. Add this to the fruit and nuts, mixing well to get even distribution. Place into lined tins and bake in a slow oven until light golden brown on top. I find that this mixture will make four log cakes. 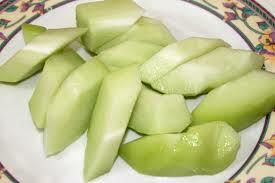 Refrigerate to store and slice thinly with a very sharp knife. Enjoy and Happy Christmas! 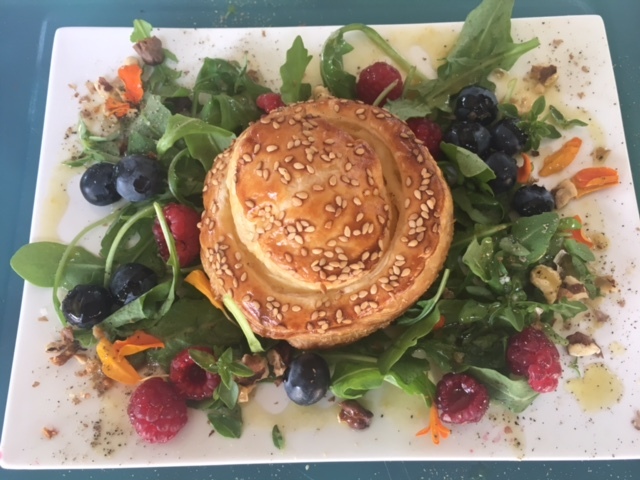 Come to the Quaama Hall Supper Room at the Christmas Fair, Saturday 24 November, to try these delicacies made by the QPA’s Quaama Quiisine volunteers. Or prepare them yourself now! Trim the fennel and slice thinly. Peel and separate the oranges into segments. Halve the cherry tomatoes. Wash and dry the spinach leaves. Put those ingredients into a bowl or arrange on a platter. Whisk syrup and mustard together and pour over the salad. 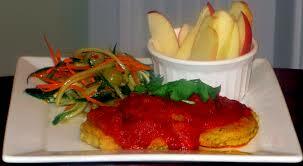 This is a low sodium and fat-free dish that is particularly delicious with fish or chicken. Rub ingredients together, adding 1 to 2 tablespoons water until combined. Roll the pastry and place in a greased flan tin. Drain the salmon well and spread it evenly across the pastry. Cover with tomato slices. Whisk the eggs with the milk and add the seasoning. Pour into the pastry case. Bake until the pastry is golden brown and the filling is set and a golden colour, 30 to 40 minutes approximately. Heat the oven to 180 – 200 degrees. Combine all dry ingredients in a mixing bowl. Rub in the butter. Add in the mixed fruit. Whisk the egg and milk together in a small bowl. Make a well in the middle of the dry ingredients and add the liquids. Incorporate together until just combined. Do not overmix. Prepare a baking tray with greaseproof paper. Use a dessertspoon and your finger to push lumps of the mixture onto the tray. Sprinkle with sugar if using. Bake for 10 to 15 minutes or until golden brown underneath. Cool on a wire rack. We at the Triangle love sharing food and recipes with our family and friends. Food is what connects us to each other and the world we live in. Seasonal usually means inexpensive for us as there is a glut somewhere we can share in. This salad was inspired by seeing whole heads of cauliflower for $2 (admittedly at Woolies). 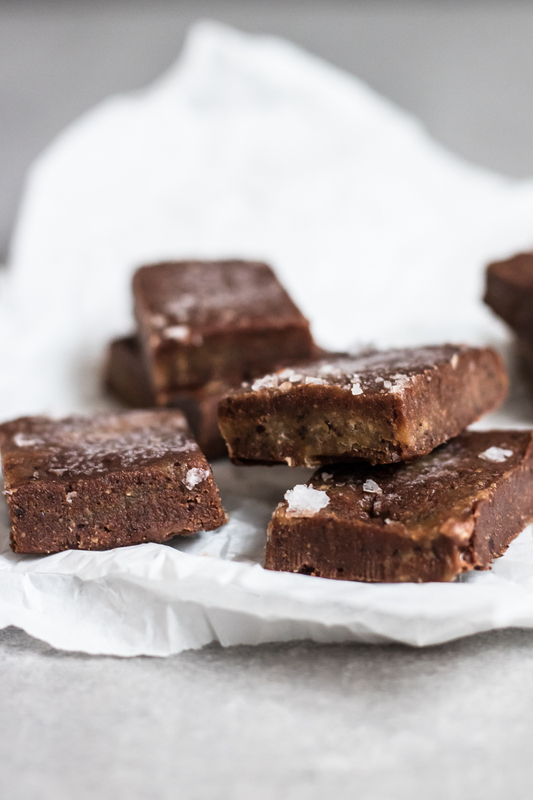 The Walnut slice is a great one for the repertoire to share with a crowd or the have on hand to defrost – maybe freezing half if you don’t eat it all at once. Great with a cuppa when those unexpected guests pop in. Bake cauliflower florets after drizzling with olive oil and seasoning with salt and pepper in 200c oven, for about 45 minutes until golden brown. For the dressing, combine all the ingredients and whisk. Season with salt and pepper. Remove cooked cauliflower from the oven and transfer to a large bowl. Fold in cranberries, toasted almonds and parmesan. Drizzle with dressing and toss to combine. Base: Sift flour into bowl, add sugar and coconut, mix well. Melt butter, add to dry ingredients, mix well. Press mixture into greased 28cm x 18cm tin, bake in 190 degree oven for 15 minutes. 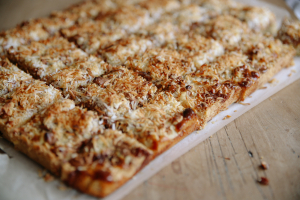 Topping: Lightly beat eggs and vanilla with fork, add coconut, chopped walnuts, brown sugar, baking powder, mix well. Spread mixture over partly cooked base, return to oven and bake a further 25 to 30 minutes or until topping is cooked. Cool in tin; cut into squares or slices. 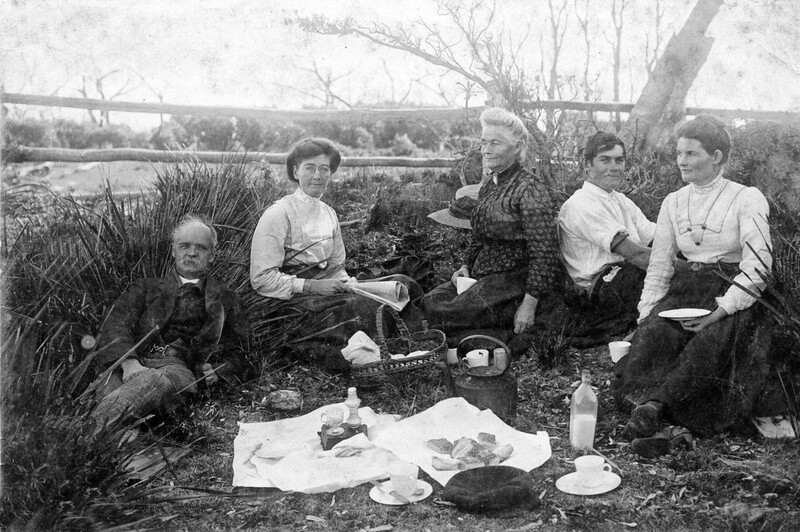 The Triangle area has a strong heritage of picnics, as can be seen in these gorgeous old photos from the 1800s from the Bermagui Historical Society’s collection. Pack your picnic and head for your favourite spot to enjoy the perfect weather of September—not too hot, not too cold … and the flies are still asleep! 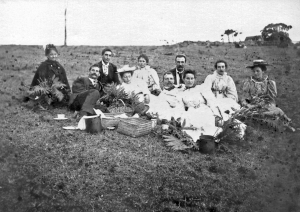 The Triangle would love to see some photos of your family picnics. Jody Vassallo, who has provided some of her delicious recipes, is an awarding-winning cookbook author, publisher, Ayurvedic health coach and yoga teacher. She has recently moved to Tilba and now teaches regular yoga classes in the Tilba Little Hall and runs women’s wellness retreats both in Australia and overseas. 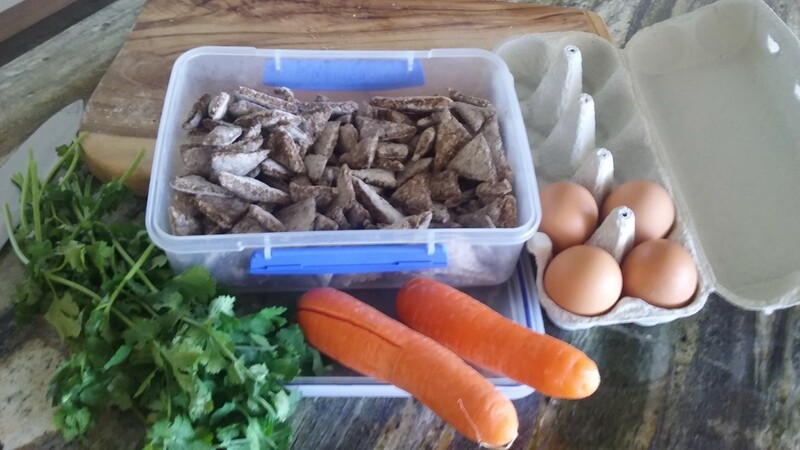 Last month Jody photographed images for her new cookbook here in Tilba. This book will be on sale March 2019. Jody is currently working on a fundraising cookbook called Farmer with all proceeds going to farmers in need. Put the linseeds, mixed seeds, sesame seeds, chia seeds and almond meal into a bowl and mix to combine. Add 250 ml (1 cup) of water and stir until the mixture comes together. Spread the mixture on the prepared tray (as thickly or thinly as you wish) and bake for 40 minutes, or until crisp. Cut the large seed cracker in half and turn to cook on the other side. Bake for 15 minutes or until crisp and dry. Remove from the oven and allow to cool on the tray. Break into bite-sized crackers. Suspend a fine sieve over a bowl. Line the sieve with a double layer of muslin or chux, spoon in the yoghurt and twist to enclose, tying the top with kitchen string or an elastic band. Refrigerate overnight. Roll the strained yoghurt into walnut size balls and place into a jar of olive oil with a bay leaf, black peppercorns, thyme leaves and roasted fennel and cumin. 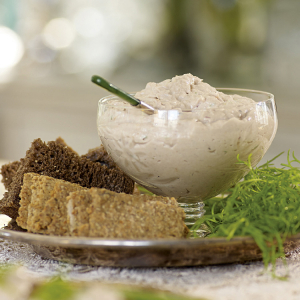 Seal and serve with crackers and olives. Preheat the oven to 180°C. Grease and line a loaf tin with baking paper. Put the coconut, flour, baking powder, chocolate chips and sugar into a bowl. Stir in the mashed banana and milk and mix to combine. Pour into the prepared tin and bake for 40 minutes, or until a skewer inserted in the centre comes out clean. At Well Thumbed Books last month we celebrated Syrian food with a view to helping the displaced children of war-torn Syria. We raised over $1200 in not much more than an hour, feeding a pop-up crowd of very generous donors. We were inspired by the fund-raising concept of CookForSYRIA. Their story first started as a simple supper club, where a group of foodie friends came together to enjoy Syrian cuisine and to raise money to help UNICEF protect Syrian children. Now it’s a global movement. After seven years of war, children and families in Syria still face violence, displacement, disease and starvation, with nearly two million children living in besieged or hard-to-reach areas. Another 2.6 million children are now living in precarious conditions as refugees in neighbouring Turkey, Lebanon, Jordan, Egypt and Iraq. There is no sign that war is ending. This recipe is a basic staple served regularly in the camps. 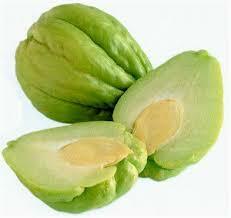 Can be eaten hot, cold or room temperature, with salad accompaniments or as a side dish to other main dishes. 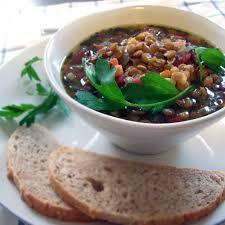 Rinse the lentils and place in a large saucepan with cold water. Over a medium heat, bring to a simmer then reduce the heat to low. Cook for 30 mins or until tender. Add the bulgur wheat, stir and top up with cold water until a tablespoon stays up when inserted straight into the lentils and bulgur. Cover and leave to cook until all the water is evaporated. You can check this by inserting a knife, moving it to one side and looking at the bottom of the pan. Season with plenty of salt and freshly ground black pepper. Add a generous glug or two of olive oil and fry for a few minutes, stirring occasionally. While the lentils are cooking, fry the onions in a large pan over a low heat with a generous glug of olive oil. Stir occasionally. Cook for at least 30 mins until caramelised. Put the Mugadara in a large dish and arrange the onions over the top. Preheat oven to 200C. Chop eggplant into medium chunks about 20mm square (3/4”) into a large bowl. Sprinkle all the spices, salt and pepper over and drizzle a good glug of oil. Mix till everything is well coated and moist. Lay on tray lined with baking paper. Roast eggplant for 25 minutes or till tender. Whilst cooking add the chopped red onion to frypan and cook for 10 mins on low heat with another good splash of olive oil, then add garlic, all the tomatoes, bring to boil then let simmer for 20 mins. Finally add in the eggplant, chickpeas, apple cider vinegar and salt and pepper to taste, cooking for another few minutes until everything is heated through. 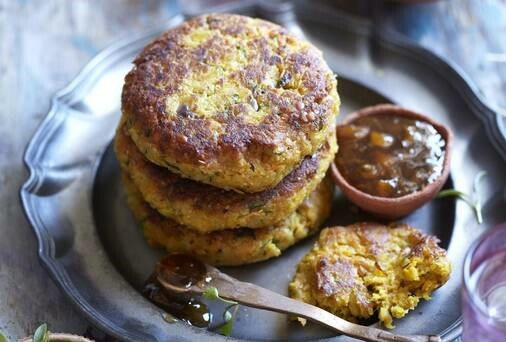 Serve with chopped coriander on top. If you’re like the dog loving members of The Triangle committee, you want the best for your furry friends and might be sceptical about the quality of some of the treats on offer in the stores as well as baulking at their prices. The answer is to make your own! 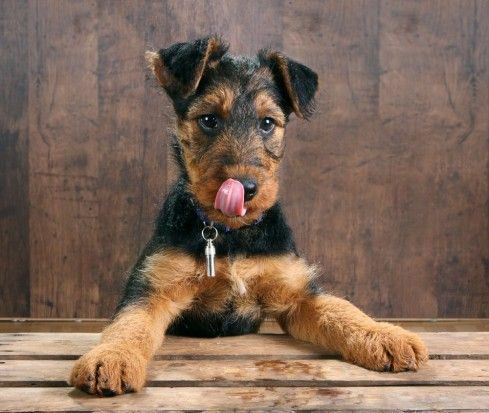 This way, you know that what you’re giving your dog is top quality and especially when you buy the livers when on sale, you’re getting a lot of treats for a very small price. Preheat the oven to 130 degrees or 110 in a fan forced oven. Pop in the flour, milk powder, wheat germ stock cubes and chicken livers and pulse to a crumble consistency. Add in the eggs until the mix is into a rough ball of dough consistency. 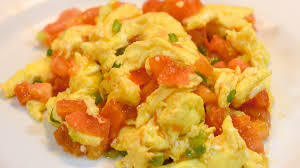 Add extra eggs if too dry. Lastly pulse in the parsley briefly to just mix it through the mixture. Tip onto a floured surface and knead lightly till you have a dough ball you can roll out to 6mm thickness at a minimum or make them thicker if you want a bit of a chewier texture for finished biscuits. completely before placing in air tight container. Store in a cool dry place. Add grated carrot, or broccoli stems instead of parsley or as well as parsley. Cut the lambs fry into chunks. Line a lasagna dish with greaseproof paper and pour in the batter. Bake for 35 – 45 minutes or until you start to smell it (it smells pretty good!). Cool for ten minutes or so in the pan. Invert the ‘cake’ onto a wire rack and lose the greaseproof. When cool, cut into treat sized pieces to suit your pup and freeze on a baking tray. When firm put into a sealed container and store in the freezer. 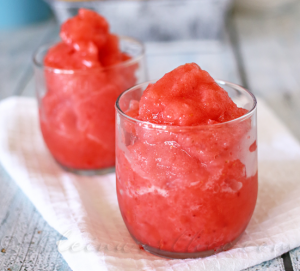 This recipe is easy to make and freezes really well, allowing you to decant a few into the fridge as you need them, which will be often unless you apply a bit of discipline as your pet is going to beg you for them. My philosophy is a simple one—only the finest ingredients, don’t accept second best, keep the food simple, and cook with uncompromising techniques and consistency. Over the years I have worked for some of the best chefs and 5-star hotels (top 100) in the world, while travelling and working in 6-7 countries (some third world). I have gathered a huge repertoire of recipes, cuisines and cooking techniques which always taught me to keep the punters interested. Light and healthy or rich and robust, but if you yourself wouldn’t eat it then don’t serve it. I’ve seen many types of cuisines come and go, eg classical, nouvelle, global, pacific rim, bush tucker and east meets west, just to name a few. I’ve made countless friendships which I value dearly along the way. I feel I’ve achieved a huge amount in my career. 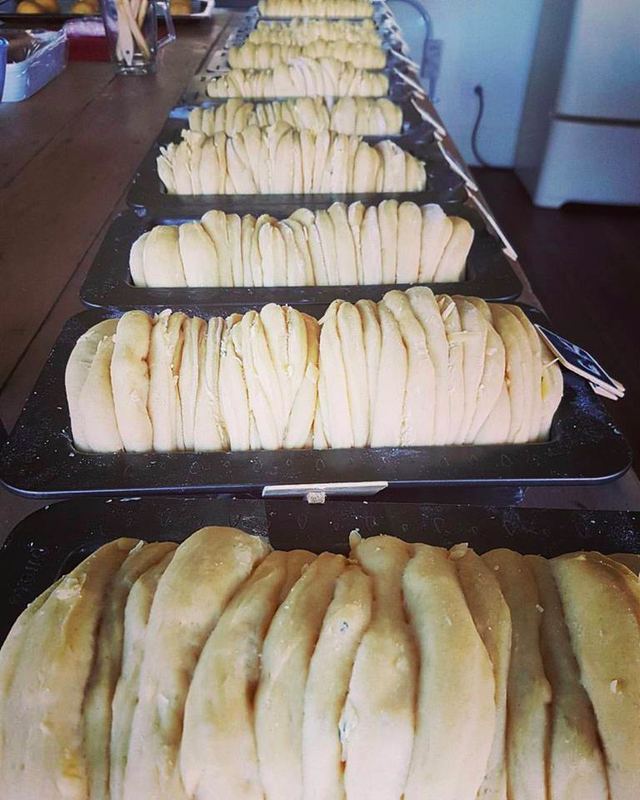 Now pretty well established here on the southern coast of NSW, I believe Kitchenboys is leading the way with other food establishments in providing locally produced foods to the local and visiting customer base that frequents our venues. Kitchenboys has some really exciting times ahead and we’re looking forward to revealing all in the new future. 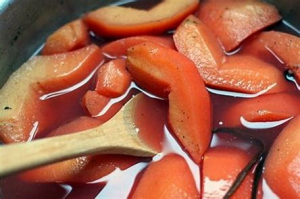 Place the quinces in acidulated water until you are ready to cook, to avoid discolouration. Place all liquids and spice bag tied to the handle in a large pan and bring to the boil, lower heat and add quinces, then simmer for 25-45 minutes until soft and tender. Be careful not to overcook them or they will start to disintegrate. Using a slotted spoon, carefully place into warm sterilised jars and pour the poaching liquor over them so the fruit is completely covered. Seal and store in a cool dark place for at least 4 weeks before using. Heat oil in a cast iron pan. Add onion, garlic, capsicum and chilli. Cook for 3-5 minutes or until tender and slightly caramelised. Add tomato paste and spices then cook for 1 minute or until fragrant. Add tomatoes and sugar, stir to combine. Reduce heat to medium low and cook for 15 -20 minutes. Add kale and stir through the sauce. Crack eggs into mixture in the pan. 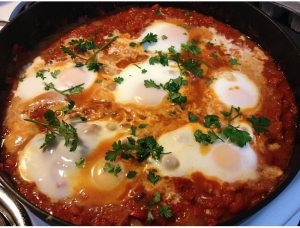 Reduce the heat to low and cook for 5 minutes or until the eggs are cooked the way you like. Scatter the parsley over, season with salt and pepper and serve with fresh crusty bread. And it’s feijoa time! Good for more than just the best jelly you’ve ever tasted, try this simple to make feijoa walnut cake to have with a cuppa. Preheat oven to 180 C and place the oven rack in the centre of the oven. Butter a 20 cm spring form pan. In a food processor, pulse the biscuits and blend them to crumbs. Combine them with sugar then melted butter. Press the mixture evenly onto the bottom of the prepared spring form pan. Bake 8-10 minutes or until set. Let cool while you make the cheesecake. Combine the brown sugar, cinnamon, ginger, cloves, nutmeg, and salt. 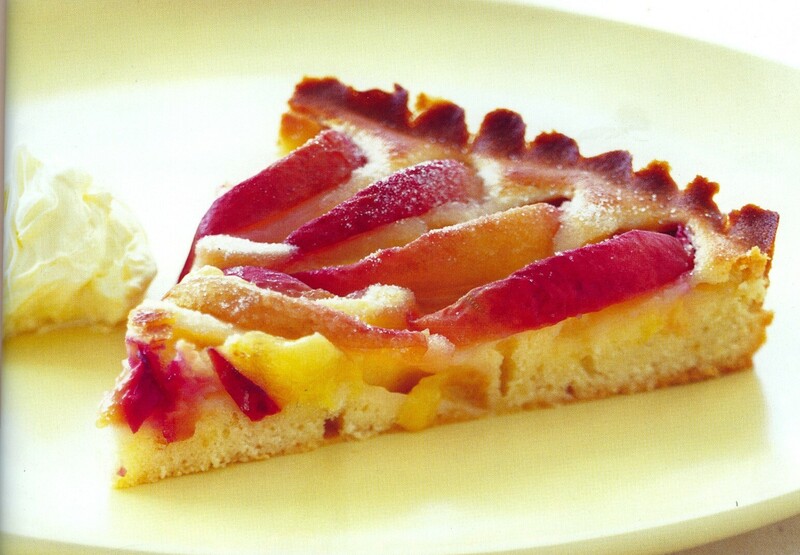 Pour the filling over the crust and place the spring form pan on a baking sheet to catch any drips. 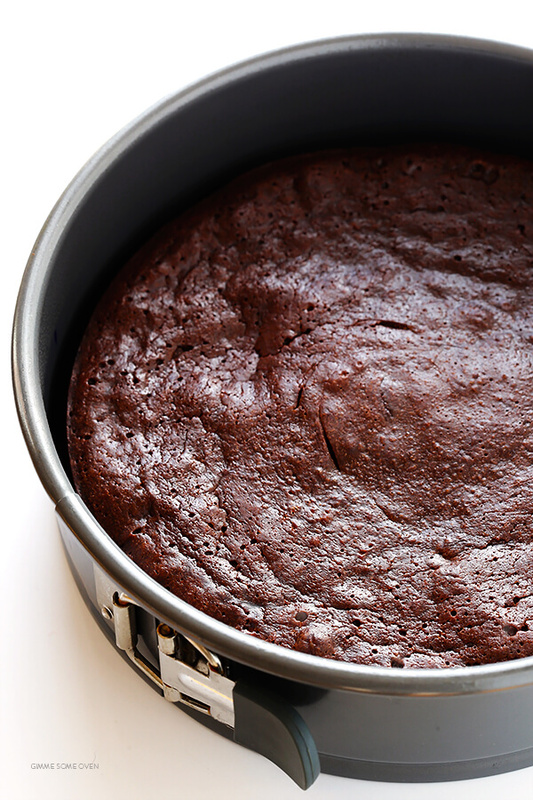 Place a cake pan, filled halfway with hot water, on the bottom shelf of your oven to moisten the air. Bake the cheesecake for 30 minutes then reduce the oven temperature to 160C for another 10 – 20 minutes, or until the edges of the cheesecake are puffed but the centre is still a little wet and jiggles when you gently shake the pan. 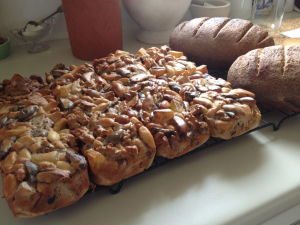 Total baking time 40 – 60 minutes. Whisk together the sour cream, vanilla extract and sugar. 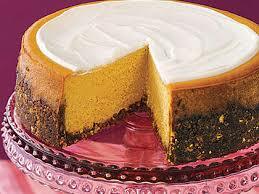 Spread the topping over the warm cheesecake and return the cheesecake to the oven and bake about 8 minutes to set the topping. Remove from oven and place on a wire rack to cool. 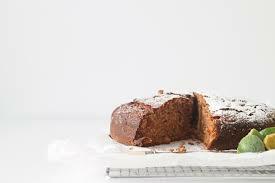 Loosen the cake from the pan by running a sharp knife around the inside edge (this will help prevent the cake from cracking). Then place a piece of aluminium foil over the top of the pan so the cheesecake will cool slowly. 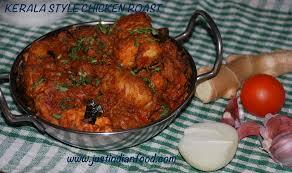 When completely cooled, cover and refrigerate at least eight hours, preferably overnight, before serving. Cut with a hot knife. Diana Holmes of Quaama has had a long history in the hospitality industry in England and Australia, running restaurants and cafés. She still loves to cook for the CWA and Quaama Quiisine and these two recipes are favourites of hers—and crowd-pleasers! 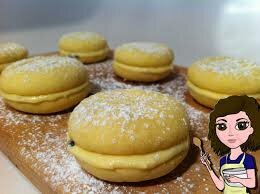 They are very easy and her family loved making them with her, with great success. She hopes you will enjoy making these simple recipes for yourself and your family and friends. In a different bowl, mix corn, eggs, bacon and milk together. Pour corn mixture into dry ingredients and add half the cheese. Mix quickly until just combined. 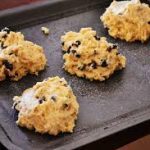 Three-quarters fill greased muffin tins with the mixture. Sprinkle with remaining cheese. Bake at 190C for 20 minutes or until muffins spring back when pressed lightly. Makes 12. Place all ingredients in bowl and beat well until the mix changes colour and all ingredients are combined. Pour into a greased and lined 20cm tin. Cook in a moderate oven about one hour, until cooked (if when pressed lightly in the middle the sides come away from the tin, the cake is ready). There is nothing better than to plant and grow your own fruit and vegetables at home then cook, eat and share your food with others. Whether the recipe is simple or complex it’s the challenge of preparing something delicious for your mind, body and soul. 2 to 3 fresh beetroots, cooked in boiling water, cooled, peeled and coarsely grated. Add crushed garlic (to your taste), chopped onions or shallots, and salt (to your taste). Add 2 tbsp tahini, 2 tbsp lemon juice, heaps of chopped mint and 1/2 cup of either Greek yogurt or sour cream. 500g fresh carrots, peeled and chopped then cooked in boiling water till tender. Process then add ½ cup of Greek yogurt, 2 teaspoons of orange juice, 1 teaspoon of Moroccan spices and 1 teaspoon of raw sugar. Serve dips with fresh bread, pita bread, rice crackers or as sides with your meal. Unsalted butter, 8 pieces of selected fruit, 4 tablespoons of brown sugar and 8 star anise. Arranged cut fruit halves on a lightly buttered baking tray. Roast in 200C oven until sugar has melted and fruit warmed (15 to 20 mins). Cool and serve with ice cream, cream, creme fraiche, ricotta or yoghurt. Smells of river mud and ripening fruit, sounds of summer bordered by cicada drumming. This is the setting of two continents close to my heart; Australia and India – a brother-in-law’s eggplant curry and my long dead mother’s special biscuit recipe. Fry the seeds and ginger root (and onion if using) in the ghee or oil. Add salt, cumin and turmeric and stir. Add sugar, eggplant, tomato and chilli, and a little water. Cook, covered, for 45 minutes. Separate egg and keep both yolk and white. Stir in the egg yolk, grated rind, a few drops of vanilla and stewed plums/rhubarb. Add sifted plain flour (dough should be dry and firm) and lemon juice. Cover and stand in cold place till firm. Roll into balls, dip into beaten egg white and toss in chopped almonds. Bake in moderate (180C) oven for 30 minutes. Three delicious, easy recipes—and they can all be made the day before, or even earlier. That’s what you need for Christmas. Have a great one, everyone! Something easy, no fuss, no cooking for the season’s gathering of friends and family? Or just a celebration of summer? 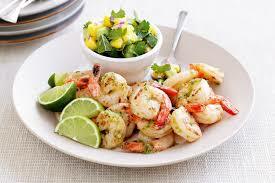 How about prawns with mango salsa? Choose Australian cooked king prawns or, if you’re lucky, buy local school prawns from a roadside van. They’re a bit fiddly to prepare but well worth the effort with the reward of sweet little morsels. Even better still, try catching them yourself with friends, flashlights, nets and buckets on a moonless night in summer. Ask a local for the best spots on the lake. It’s an absolute hoot. Last year was my first time and we caught next to nothing but had a hilarious time. Maybe better hunting this year. 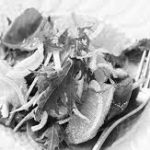 To make the Mango Salsa, mix together the diced (small) flesh of two mangoes, 2 tbsp of sweet chilli sauce, 2 tbsp of fresh lime juice and 2 tbsp of fresh chopped coriander. It will keep for a day in the fridge. Also good with fish, poultry or just a yummy salad partner. Allow as many prawns as your budget dictates. I used to call this ‘Jewel Fruit Cake’. But we were discussing Christmas recipes at a Triangle meeting and Niki Hutteman said, ‘Oh, that was a favourite with our family. We called it “Stained Glass Window Cake”.’ I was quite taken with the name. It’s because of the glacé cherries. Place all nuts and fruit in a large bowl and mix. Add sifted flour, salt and baking powder and stir to coat nuts and fruit. Add sugar and mix. Beat eggs and vanilla and add, stirring thoroughly to form a stiff mixture. 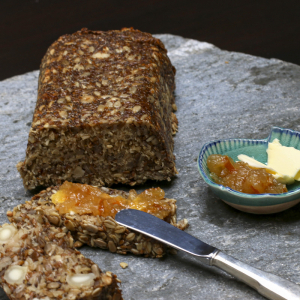 Spoon into a well-greased loaf tin lined with baking paper, pressing down as you go. Cook at 150C for 2½ hours. You might need to place a piece of aluminium foil over the top after a while if it starts to turn too dark. Remove from oven and leave in tin 10 minutes, then turn onto a rack and remove paper (important as it will be harder to remove later). When cool, wrap in a clean towel. Apparently it could last for weeks in an airtight container, but we’ve never put it to the test. This awesome Christmas drink is delicious and very festive. Being a granita, it is cold and icy and holiday red in colour. Use a wide mouthed container as you’ll need to be able to scoop it out with a spoon once frozen. Place all the ingredients in a container and stir. Put in the freezer and leave at least overnight. Scoop out the slush into glasses and serve with a small spoon. The cranberry concentrate is expensive and hard to get down here but if you’re able, the addition will make this drink even better! It can also be made with unsweetened juice but that will mean the addition of more sugar syrup. You can play with the amounts of each ingredient to taste. * To make the sugar syrup put equal parts white sugar and water in a saucepan and simmer until dissolved. These were the sort of comments I’d hear about Mum’s cooking. I didn’t realise how good she was until I left home and had to fend for myself. I managed to melt the kettle and a saucepan in the first week. 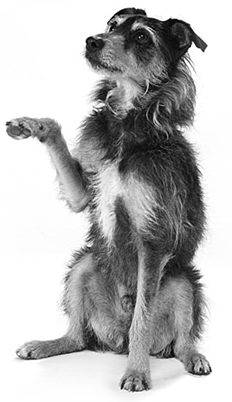 Raw food and a packet of crisps was the order of most days. No-one was ever allowed in Mum’s kitchen, but as she mellowed she’d come rushing in all excited to tell me the secret to somebody’s mushroom dish was nutmeg! Or say ‘those potatoes are floury, put in some cream and horseradish’. 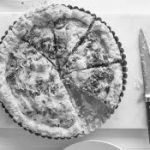 Her cookbooks were exercise books filled with pages from the Women’s Weekly Home Maker section, circa 1939, with dishes like Bloater Paste or Breadcrumb Tart… which, thankfully, she never made. 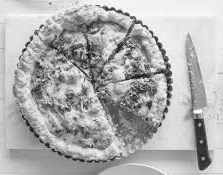 She had a huge collection of recipes in her head, cakes from the time she had a shop in the Strand … then desserts (oh, how I miss her Lemon Delicious and Butterscotch Pudding … aah …) from her time as cook for the Fairfaxes. Hildar Lunch was the Fairfax’s nanny and a good friend. Whenever she came to visit, mum would make her this dessert. 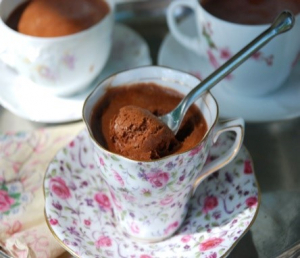 Melt the chocolate with a knob of butter in a heatproof bowl over a saucepan of gently simmering water. Don’t let the bowl touch the water. Stir in brandy or whatever and set aside to cool. Separate the eggs. Mix the yolks with the chocolate away from the heat. Whip the egg whites until fluffy. Spoon some whites into the chocolate mixture to loosen it up then fold the chocolate mixture into the egg whites. Pour into tea cups or glasses and place in the refrigerator. Leave to set for at least six hours. Serve with vanilla cream and grated chocolate. Garnish with candied orange pieces. This was Mum’s take on chocolate mousse, which we thought was pretty exotic back in the 50s and much simpler than today’s recipes. 300ml extra virgin olive oil (EVOO). Put herbs and spices and half the juice and EVOO into a blender and pulse to combine. Add the rest of the juice and oil until you have a pourable consistency. Add salt and pepper to taste. This Chermoula can be stored in a sterilised jar (always cover with EVOO so that no air comes in contact) for many months. Thread the tuna onto skewers. Set the brochettes on a platter and spread a small amount of Chermoula over them. 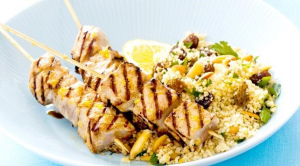 Grill the tuna brochettes over a medium hot fire for 5-8 minutes, turning every few minutes and brushing with the Chermoula. My lovely friend Janet, who we all lost a little time ago, cooked these two things with me often. We met on the street at the Cobargo Market and ended up cooking together, making jams and pickles, sharing our love of food and good times. Aahh, the fruit cake! How many people say, “NO, I don’t eat fruit cake”? Well, that’s because they have never eaten a good one. And lots of recipes make it sound difficult and expensive. Trust me, this one will change many minds, give it a chance. I actually like to cook this in a small baking dish which invites small thin slices alongside a sliver of blue cheese and a couple of chocolates, making a delightful dessert. Place fruit in a large bowl, stir in dry ginger ale and the port. Cover and leave overnight. Add the flour, mixing well, spoon into prepared pan and smooth over. Cook in slow oven (150C) for about 1 hour 40 minutes or until skewer inserted comes out clean. Cover hot cake with a sheet of baking paper. Wrap pan and cake in a tea towel and leave overnight in the pan. I make the ‘cakes’ soup spoon size, and, very importantly, keep your hands wet—have a bowl of cold water beside you. Cook in hot oil for a minute or two. 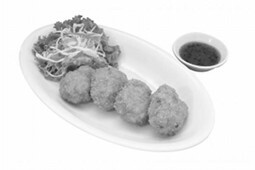 Serve with a dipping sauce and salad. They are also perfect to freeze. 115 grams stem ginger in syrup finely chopped. Janet and I used our own ginger marmalade. A good quality commercial one does the job but use double the amount! 2. Boil gently with the lid off until the rhubarb is soft. 4. Cool slightly before bottling, try to be strong and leave it for a week or two before using, it is divine. ham sandwich! We always laughed at that little phrase. Preheat the oven to 200c/400f/gas6. Brush the four bases with water and place the four outer circles on top of them, forming a vol au vent shape. Leaving the inner circles for the “hats” for your cheeses. Place the cheese in the middle of the bases, brush the top with water and place the inner circles on top. Egg wash and sprinkle with the poppy seeds. Bake in the oven for 10 to 15 mins or until just brown, remove and cool slightly on a rack. 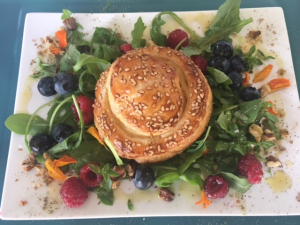 Place the cheese in the middle of a cold plate, decorate with your mixed salad leaves, walnuts, berries and sprinkle with rock salt. Add dressing and serve immediately. In a plastic chef’s bottle, add the whole peeled garlic clove, 10. Add the honey or jam, then add the vinegar and the oils 11. Shake vigorously and drizzle over the salad. This is indeed an extremely easy and economical dessert and a great way to use your very ripe bananas. To make the ice cream, simply place the frozen bananas in a food processor with the seeds from the vanilla pod, vanilla extract, sugar and crème fraise. Turn up high and blend until smooth. Serve immediately, or place in the freezer for up to 2 hours. What could be any more comforting than a steaming bowl of risotto in winter. The great thing about this recipe you don’t have to stand over a pan for 25 minutes ladling in your stock. You get to enjoy another glass of wine while waiting for this one pot beauty to cook unaided. Heat oil in an ovenproof heavy-based pan over medium heat and cook onions and garlic, stirring until soft. Add mushrooms and cook stirring for 5 minutes until softened. 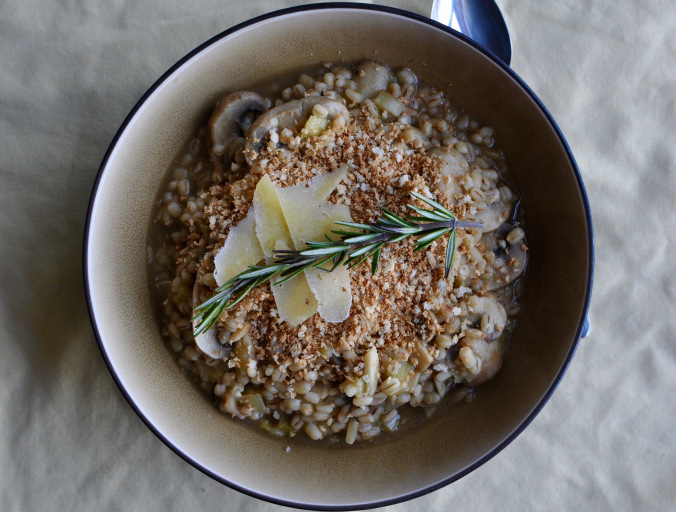 Add rice and toss to coat with oil, then add stock and rosemary. Cover and bake for 25 minutes or until most of the liquid has evaporated. Add wine and allow to stand for 10 minutes. Try this delicious dessert cake, luscious and moist with fruits and almonds. Frozen blueberries can be used as well. Serve with cream – another luxury for winter that can be walked off the next day or hidden under layers of clothing! Pre-heat oven to 180 degrees C. Grease the base of a 20 cm spring-form cake tin. Beat butter, sugar and vanilla extract until fluffy then gradually beat in eggs, one at a time. Add a little sifted flour if mixture looks as if it might separate. Lightly fold in remaining flour, milk and half the almonds until combined. Spread into base of cake tin. 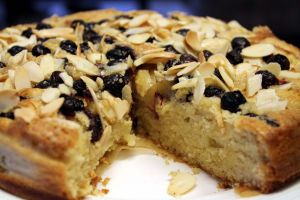 Sprinkle with remaining ground almonds and then top with apple and blueberries. 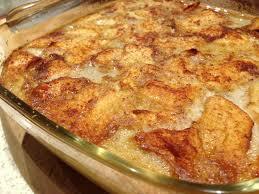 To make topping, put melted butter in a bowl and whisk in eggs, sugar and cinnamon. Pour over cake. Sprinkle with flaked almonds. Bake for about 60 minutes; when ready, it should be firm to the touch and a skewer inserted in the centre should come out clean. Cool completely in the tin before turning out. Dust with a little icing sugar to serve if desired. Heat olive oil and butter in wide frypan. Over medium heat, cook onions and garlic until soft. Add gherkin, paprika and sour cream, reduce sauce a little for about 5 minutes, stirring over gentle heat. Add chicken, stir through to warm, season, serve with pasta or rice and sprinkle parsley over. Note: you can use chicken breast strips instead of left over chicken, sauté in heated oil/butter until browned, set aside/cover and continue from step 1, adding the chicken as per step 4. Alfred: ‘This is my mother’s Christmas Biscuit recipe. Biscuit baking started 6-8 weeks prior to Christmas Eve or ‘Heiligen Abend’ according to my mother. She would bake about a dozen different types of biscuits in amounts that could have rivalled Arnott’s output, and these were given away as presents during the festive season. Given the butter needed, these are best made when it isn’t too hot in your kitchen – perfect for Christmas in July! Pre-heat oven to 180C. Beat butter until creamy, whilst slowly adding all other combined dry ingredients to form a soft dough. Let the dough rest for one hour. Break off pieces roughly weighing 30 g each and roll into crescents. Place onto greased or baking paper-lined baking tray and bake for about 12–15 minutes or until golden. Roll Kipferl biscuits in sugar mixture. I read with interest Keith’s article about chokos in last month’s Triangle. However, I think he forgot the best use for them, ie pickles. Try this and judge for yourself. Peel and slice chokos and onions and sprinkle with salt. Leave to stand overnight, then strain and rinse the next morning. Place in a saucepan with the vinegar and simmer until tender. Mix the dry ingredients to a paste with a small amount of vinegar, then add to the choko mixture, bringing it back to the boil for about 5 minutes. Cool a little, then bottle into clean glass jars. 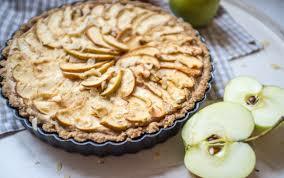 Now that apples are at their best it’s a good time to use them for cooking as well as eating fresh. Cut the apples in quarters. Heat the butter in a pan over medium high heat. When butter is hot and foamy add the apples and sauté them until golden, about 10 minutes. Add half the sugar and cook until it has caramelised, shaking the pan so that the sugar doesn’t burn. If using Calvados, pour into the pan and swirl it around then flame, gently shaking it until the flames die down. Transfer the apples to a 1.5 litre casserole. Scrape the seeds from the vanilla bean. Whisk together the eggs and egg yolks in a medium bowl, then whisk in the vanilla seeds. Whisk in the remaining sugar and cream until combined. Pour the mixture over the apples and bake in the centre of the oven until the top is golden and puffed, about 35 minutes. Let cool for about 20 minutes before serving. Enjoy. At the end of March my remarkable grandmother of 111 years died peacefully in her sleep after not eating for one day. We Chinese take our food seriously! We called her Pau Pau and when I was small our family would go to her semi-detached house in Bondi Beach for Sunday lunch. There would be a large array of dishes, all tasting different from my other grandmother’s fare, who was an equally wonderful cook. After our mother died my sister and I had the great fortune of being brought up by our grandparents, particularly our grandmothers. These recipes are simple, everyday fare that give comfort. I had to work them out by tasting and talking as one nana was illiterate and the other could only read and write Chinese. Nothing was measured. Like playing the piano without sheet music. Heat oil in pan. Add onion and garlic, stirring till translucent. Add tomatoes (and chillies if using), fry slowly till well cooked. Season to taste. Pour eggs into the tomato mixture and cover the pan, stirring a couple of times more to break the eggs up a little, cooking until set like scrambled eggs. Serve with rice with coriander or chives on top. Serves 4. 6 dried shitake mushrooms, soaked for an hour or so in one and a half cups of water, drained (keep liquid! ), stems discarded, thinly sliced. Place noodles in boiling salted water till just cooked. Drain and rinse under cold water. Set aside. Mix ginger, soy and oil and marinate the fish in this for 15 minutes. Beat eggs and cook in a non-stick frypan till set. Remove from pan and cut into strips. Heat more oil in the pan and add the noodles. Do not stir—allow the noodles to form a ‘cake’. Cook for three minutes each side making some of the noodles crispy. Slide noodles onto serving platter. Heat a tbsp oil in the pan to sauté the vegetables and mushroom for two minutes, then add two tbsp of the reserved mushroom liquid and cook for one minute. Pour over noodles. 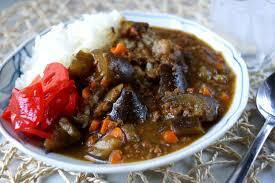 Mix together cornflour, soy sauce, the rest of the mushroom water, sesame oil, sugar, salt and pepper and set aside. In a hot, clean pan heat a little oil and sauté the fish until tender. Add the cornflour mixture and cook till thickened. 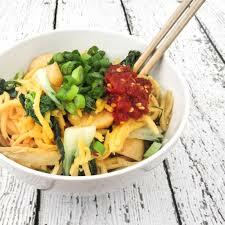 Pour over the vegetables and noodles and garnish with egg strips. Serves 4. Using kitchen shears, cut the chicken into eight portions. Set carcass and neck aside for stock (if you make your own stock). Combine salt, pepper and thyme leaves and press the skin side down into this, making sure you use all the mixture. Heat the ghee or oil in a heavy casserole (enamel cast iron is my choice) over medium heat, brown the chicken pieces for ten minutes. Chop the spring onions, keeping the bulb and half of the green top, dice the garlic. Slice the fennel bulb, keeping the green fronds aside. Preheat the oven to 160C.As the chicken pieces turn golden, set aside on a plate. Add the onion and garlic to the pan and reduce the heat to caramelise them. Add the sliced apple, apple cider and stock. Don’t forget to lift the juicy brown bits on the bottom of the casserole, once you have added the liquids. Add the chicken pieces and chopped fennel fronds. Cover and bake for 30-40 minutes. Mix the cornflour with some water or extra stock and stir through. Taste for flavour, and if it is too sweet, add some tamari. This is all a matter of taste at this point. Make certain you take the time to brown the chicken well. The browning of the chicken will determine the outcome of flavour. 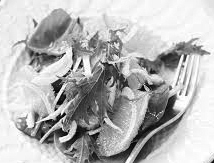 Great to serve with a cabbage and fennel salad. 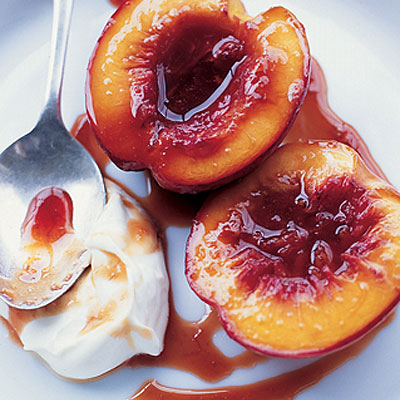 Place plums, sugar, vanilla and cinnamon in a bowl, toss to combine and stand for 30 minutes. Preheat oven 180C. Place plums in ovenproof dish, leaving the juices in the bowl. Mix the cornflour with the plum juice and add to the plums, then bake for 20 minutes until the plums look just about cooked and have released all their juices. Meanwhile make the cobbler topping. Place the flour, baking powder and sugar in a mixing bowl. Sift in the bicarb soda and whisk to distribute. In another bowl, mix the remaining ingredients, ensuring the egg is well beaten. Mix wet and dry ingredients together. Do not over mix. Dollop spoonfuls (size of a walnut) onto the plums. Sprinkle with sugar and bake for 20 minutes. So nice with Tilba cream. 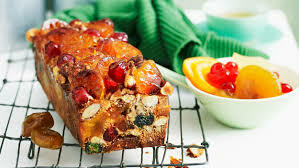 This can be made with other fruits, especially moist and juicy fruits. fruits. Replace flour with Gluten Free alternative. Quick and easy to ‘whip up’. earlier to reach room temperature. 1/3 cup each plain, SR and cornflour. Beat egg white till soft peaks and slowly fold in caster sugar. When well incorporated add egg yolks one at a time, then vanilla. Remove beaters, sift in the flours then fold gently together. Lastly add a tablespoon of hot water to the mix and fold in. Prepare your preferred tin with cooking spray and baking paper and spoon in the mixture. Tap the tin slightly to evenly distribute the mixture. Bake in a pre-heated oven, medium-hot, for approximately 20-25 minutes. The cake should have risen and be a pale golden colour and come away slightly from the side of the tin. Do the skewer test to see if cooked though. Leave to cool in the tin then turn onto a rack. Fill/top with cream and fresh summer fruit. Passionfruit is my favourite at the moment. Made with delicious smoked fish from Zac at Bermagui Meat supply. Place the above in a food processor and blend with juice of one lemon. When smooth add a few drops of Tabasco, freshly ground salt and pepper. Finely chop dill and/or chives and fold in. Keeps well refrigerated in the fridge for a week. Thinly slice the unpeeled cucumbers. Put these in a bowl with sliced onion. Sprinkle with salt, cover with water and leave to stand overnight. Drain well the following day. Combine the rest of the ingredients in a pan and bring to the boil. Remove from the heat, stand for 5 minutes, then bring to the boil again. Now add the cucumbers and onion, turning gently to coat, cover, and cook gently for 5 minutes. Let stand to cool, then bottle and seal. 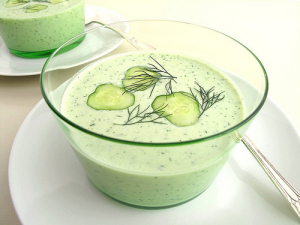 This is a CWA recipe which I have made a few times when cucumbers are plentiful. It is delicious with cold meats, hamburgers, sandwiches and lots of other food. Hopefully you will enjoy it as much as I do. Combine butter with caster sugar in a food processor until creamy. Add eggs separately until well blended. Add vanilla essence and plain flour. Process until just combined. Spoon the mixture into a lightly greased 23 cm. tart tin with a removable base, spreading it over the base and up the sides. Quarter peaches, cut them lengthwise into thin slices and then arrange them in overlapping concentric circles on the batter. Heat the oven to 190C and bake for 30 minutes till puffed and golden brown. 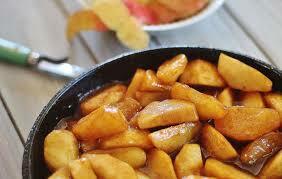 Sprinkle with caster sugar and place under a pre-heated grill till the sugar is caramelised. Delicious served warm with thick cream or ice-cream. 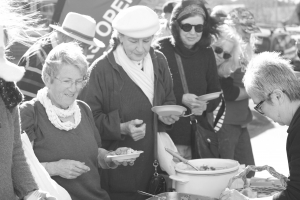 Quaama Quiisine – some recipes from the offerings at Quaama’s Fairs, from Glennda and Diana. Our food is always popular at the fairs and other community events held during the year at the Quaama Hall. We’re glad to be able to share some of the recipes with you here. Enjoy! This recipe is quite flexible and forgiving—you can use less meat and more rice, or replace the meat with grated carrot, zucchini and ricotta. If the mixture seems too wet just add some more bread crumbs or oat bran. The wonderful flavour comes from the butter. A large cabbage should yield about 18-20 rolls. Cut the core from the cabbage and discard the outer leaves. 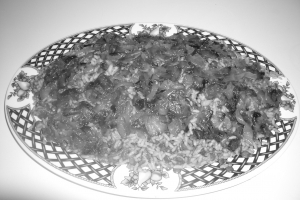 Place the cabbage in the boiling water, put the lid on and simmer for 10 minutes. Turn the heat off and leave to sit with the lid off for 5 minutes before draining. When cool enough to handle, peel off the leaves and lay on a dish drainer. While the cabbage is cooking and cooling, make the filling. Soften the chopped onion in 20 g butter over medium heat. 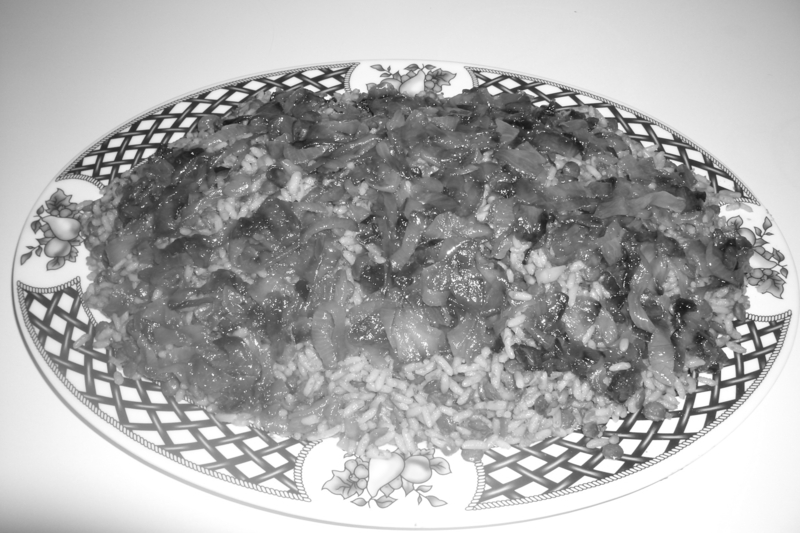 Put the mince and remaining ingredients, along with the softened onions, into a large bowl and mix well. Lay the cabbage leaves out and divide the mixture evenly between them—place the mixture at the base of the leaf. Roll up, folding the edges in as you go, and place into a buttered rectangular casserole dish or deep baking tray. Cover the dish with a layer of baking paper and then cover with foil. Bake at 180 degrees for up to 1 hour, removing the cover for the last 10 minutes. While the rolls are cooking, make the gravy. Soften the onions in the butter, add the tomatoes and when they start to disintegrate add the tomato juice and seasoning. When cooked to your liking, thicken with cornflour or arrowroot mixed with a little water. 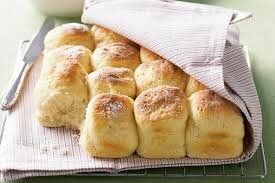 Serve the gravy in a jug or just ladle over the rolls as they are plated up. 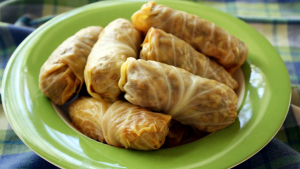 It’s better to over- rather than undercook the cabbage rolls. Leftovers are traditionally reheated by frying in more butter over medium to high heat in a cast iron pan. Soften the onions and garlic in oil over medium heat. Add turmeric and cumin and stir to combine. Cook for a couple of minutes and set aside to cool. Process chickpeas, lentils, sunflower seeds, parsley or coriander, egg and onion mixture in a food processor until almost smooth. Transfer to a large bowl. Add 2/3 cup flour. Stir until well combined. If the mixture seems too wet, add some breadcrumbs or oat bran. Place remaining flour on a plate. Form mixture into patties. Coat in flour. Heat oil in frying pan. Fry patties in batches over medium heat for 3 minutes each side, or until golden. Serve as is with caramelised onions and salad or make into burgers. Depending on the size, you should get 10 -12 patties from this mix. Preheat oven 150C. Prepare tray and line with baking paper. Beat butter and sugar until very fluffy, then fold in the rest. Roll mixture into small balls, place on prepared tray and press down with back of fork leaving space between biscuits. Cook for 15-20 minutes. When biscuits are cool join together with icing. These are melt-in-your-mouth stuff. Haven’t tasted better. 1 can of lemonade (any soft drink will do, I tried Passiona, lemonade and Coca Cola, all different). Cook on 250C for 15 min (or until cooked). 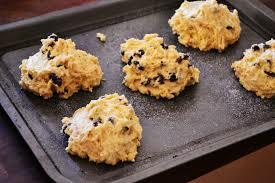 If you have a micro/convection oven microwave, cook the scones for an extra 2 minutes and watch them rise further. These scones were very popular at my café. 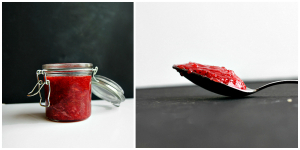 Place a small plate in the freezer to use for testing the jam. Cut the rhubarb into 2cm batons. In a large bowl, place the chopped rhubarb, ginger, sugar, juice and zest. Mix well and leave to marinate overnight to release the juices from the rhubarb. Place everything in a large, heavy based saucepan on a low heat, stirring until the sugar has dissolved. Once the sugar has dissolved, turn up the heat and bring to a boil. Boil for 10 minutes, or until the setting point has been reached and skim the jam of any scum that rises to the surface. Once the jam has reached 104C it should be ready. Remove the jam from heat and set aside. Take the plate out of the freezer and add a teaspoon of jam to the plate. Let it sit for one minute, and gently push the jam with your finger. If it wrinkles, the jam is ready. If it doesn’t, place the jam back onto the stove to boil for 5 more minutes and repeat the process until it is ready. 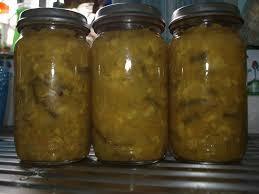 Transfer to sterilised jars, pop the lids on and allow to cool completely before storing. For the dough, mix together the milk and yeast and let it ‘sponge’ for approximately 15 minutes, or until it has started to bubble and froth on the top. Add the eggs to the yeast mixture, then add the wet ingredients to the dry ingredients. Bring the dough together, and either knead by hand, or use a stand up mixer for 10 minutes, or until the dough is smooth and elastic. The dough should come away from the sides of the bowl if you are using a stand up mixer. With a mixer on a slow speed, gradually add the butter to the dough bit by bit, making sure each addition has disappeared into the dough before you add the next bit. If you are kneading by hand, dollop the butter onto the dough bit by bit, and knead until the butter has disappeared. The dough should be shiny and glossy by the time all the butter has been incorporated. Cover the bowl with a tea towel and leave in a warm place to rise for 1 hour, or until it has doubled in size. Meanwhile, make your flavoured butter. Combine all the butter ingredients and set aside. When the dough has risen to twice its size, knock back the dough and knead it until it returns to its original size. Grease and flour a 21cm x 11cm (base measurement) x 6cm deep bread tin. 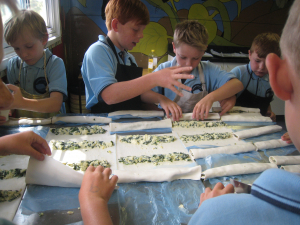 Using a rolling pin, roll out the dough so that it is ½ cm in thickness. Use a 12cm round cutter to cut out round shapes from the dough. Spread the flavoured butter over the rounds, and sprinkle parmesan over the top. Gently fold the rounds in half to sandwich the butter and cheese, and transfer to the bread tin, so that the fold is on the bottom of the tin, and it is seam side up. Line the semi-circles up together so that they fit snugly into the tin. Set aside in a warm, draught free place to rise again until it has doubled in size, and risen to the top of the bread tin. Gently brush the bread with melted butter and transfer to the oven. Bake for 20 to 25 minutes, or until golden brown all over and cooked through. This is a classic Greek soup eaten in winter all over Greece. My mother says that even though mine is not as thick as hers, it’s tastier!!! Soak the lentils overnight. The next day, drain the lentils and add fresh water and bring the lentils to the boil and simmer for 5-10 minutes, depending on how quickly they cook, you don’t want to over boil them. Cook them until they are soft in the centre but not going too mushy, they will cook more in the soup. In a large saucepan gently fry in olive oil or homemade lard the onion, garlic, leek and carrot. Turn heat down and put lid on and gently simmer until onion has started to soften. Add cooked lentils, chopped silverbeet, bay leaves, rosemary, tomato, a little salt and pepper and then add enough water or stock to cover all ingredients and then some. Bring back to the boil and then simmer for 30 min to 1 hour. Check liquid levels occasionally as you may need to add more liquid during cooking, you want it to be soupy at the end not too thick, have some wateriness about it. 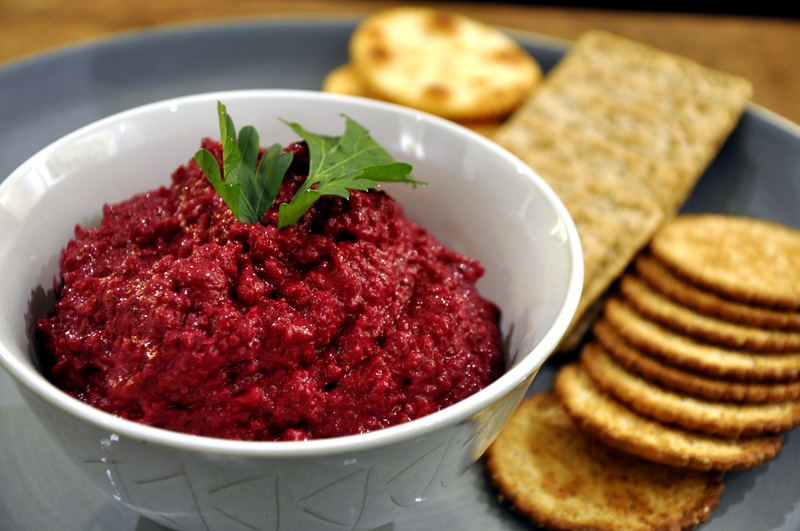 Serve with drizzle of balsamic vinegar and delicious bread. One of my favourite things to enjoy over winter is cauliflower. Such a sweet satisfying vegetable. Good for those of us looking at reducing carbohydrates. This recipe for cauliflower couscous can be eaten as a side dish with anything in place of regular wheat-based couscous or potatoes. You can extend the basic dish by adding chick peas or broad beans, chopped tomatoes, rocket and/or baby spinach and you have a gluten-free vegan dish you can eat at room temperature or hot. Preheat oven 200C. 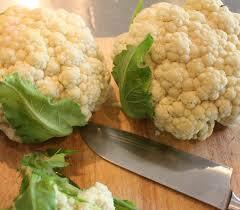 Remove outer leaves and cut cauliflower into small florets. The easiest way to get the couscous effect is to pulse the florets and chopped bits of stalk in a food processor for a couple of seconds at a time till the cauli looks crumb-like, being careful not to overdo it as you will end up with a paste. Alternatively you could grate the cauli with the largest grate side and finely dice the stalks. Line two trays with baking paper. 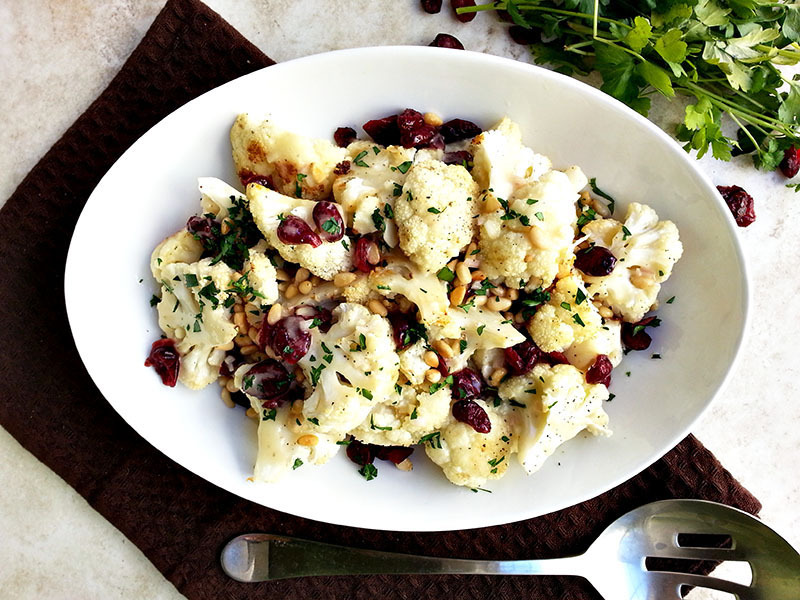 In a large bowl toss the processed cauli with a drizzle of olive oil to moisten. Also toss in the ground spices and salt and pepper. If you had some dukkah or zataar – Morrocan spice mixes, you could add some in as well, but it’s not necessary as you can be as plain or fancy as you want depending on your pantry. Spread the mixture onto the trays in a thin even layer, roasting the cauliflower for 12 minutes, moving it around the tray halfway through the cook. Roasting dries and intensifies the flavour. The couscous should be light and fluffy. Back in the bowl again you mix in the coriander and any other additions you may want. Sprinkle with the toasted almonds. Preheat oven to 170 C. Line a large baking sheet with baking paper. Beat in the agave syrup or sugar and flavourings. Fold in the almond flour and salt into the wet mixture. Line a tray with baking paper. 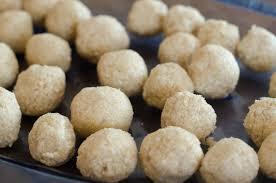 Roll the dough into walnut sized balls, leaving space between each biscuit. Bake for 10 – 12 minutes until slightly golden. Let the biscuits cool on the tray. Biscuits should be slightly chewy and moist on the inside. NB If you use the agave syrup they aren’t as sweet as using sugar. 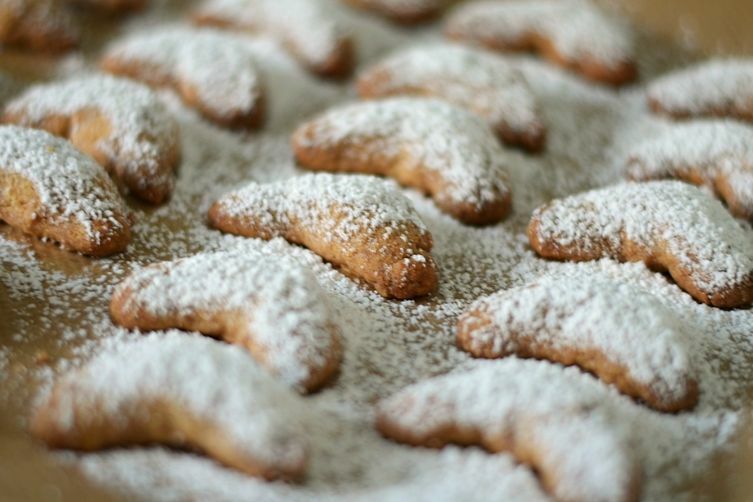 The Kruidkoek is a traditional Dutch recipe, with the mixed spices a nice warmer for the colder months. Traditionally it’s baked in a bread pan and sliced, but I like to bake it in a square baking tray and cut up in squares. The ‘Mock Apple Choko sauce’ I made with the kids at the Cobargo Public School in the Stephanie Alexander Kitchen Garden program and they loved it. Mix all dry ingredients in a big bowl. Warm the milk a little and melt the syrup in it. Preheat oven to 160C. Line two large baking trays with baking paper. Prepare the ingredients : Remove the stems very quickly by grabbing the base of the stem with one hand and pulling outwards along the stem to slide off the leaves. Tear the leaves into bite size pieces. Rinse the kale and dry the leaves very well in a salad spinner. Massage : Mix the kale in a big bowl with a few drops of olive oil and a small sprinkle of chilli flakes. ‘Massage’ the oil into the leaves to ensure all the nooks and crannies are coated. Oil also helps the spices stick to the leaves. 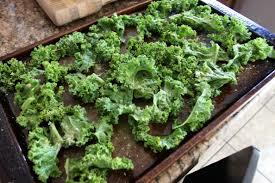 Spread kale out in a single layer on prepared trays. 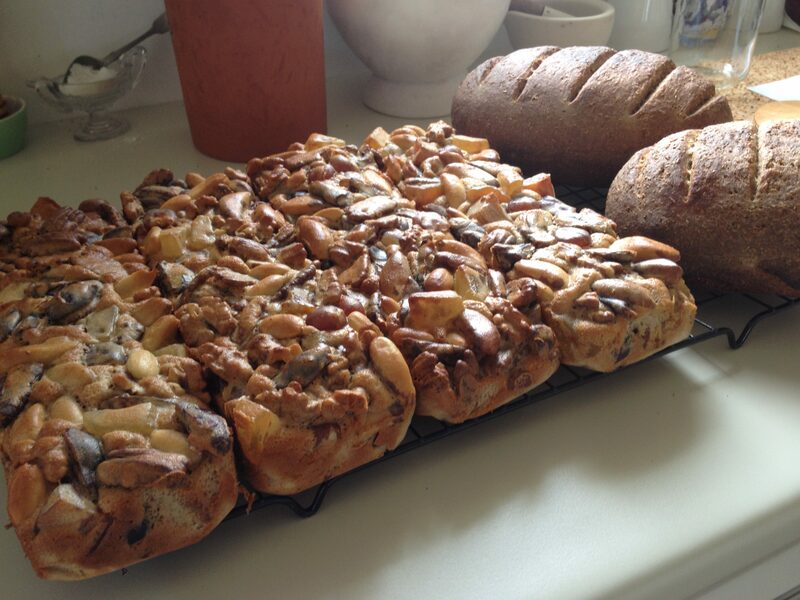 Baking : Bake for 12-15 minutes, swapping trays half way through cooking time, or until leaves are crisp. Serve sprinkled with sea salt. Creamy, rich and packed with spices, this bake is fresh and flavoursome. Preheat the oven to 160ºC/325ºF/gas 3. Peel and finely slice the onions, garlic and ginger. Finely slice the chillies and coriander stalks and roots, then slice the peppers. In a large frying pan add the oil or butter, the spices and curry leaves. Fry for 2 minutes, then add the chopped veg, garlic and coriander stalks and roots. Cook for about 15 minutes, or until soft and golden, stirring occasionally. Peel and core apples, using a mandolin, cut widthways into 2 mm thick slices. Place apple in overlapping concentric layers in a 28 cm ungreased springform tin, sprinkling liberally with sugar between layers and pressing down apples as you go. Apples will reach just above side of tin. Place cake tin in a roasting pan to catch juices, then bake at 180 C for 3 hours, basting with juices every 30 minutes after the 1st hour of cooking. Remove apple tart from oven, cool in tin for 10 min, reserving any juices from roasting pan, then release from spring form tin. Leave tart on base to cool to room temperature, then invert onto large serving platter. Place roasting pan over low-medium heat and stir cooking juices until well combined, then simmer for 5-6 minutes or until reduced and syrupy. For Ginger Cream, beat cream and honey until soft peaks form, then stir in ginger, I have added ground cinnamon sometimes, cover and refrigerate until required. Serve slices of tart with a little syrup poured over and a dollop of ginger cream on the side, scattered with pistachios, or for the big WOW factor serve whole tart at table with syrup and pistachios over tart. During the Cobargo Folk Festival we hosted the delightful guitar duo from Western Australia, Guy and Damian from Desert Child. I’d made pear muffins for the first time, simply because I had several ripe pears. They were out-of-this-world! I’ve since made blood plum muffins, banana and pineapple muffins and the latest batch from rhubarb and frozen blackberries, another great combination. Blend margarine, sugar and golden syrup. Beat in eggs, add milk and mix well. Stir in the pears. Fold in the dry ingredients. Place in prepared muffin pans and bake at 180 C for about 25-30 minutes. 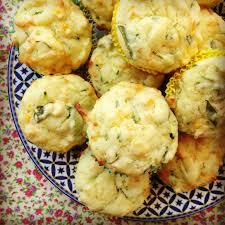 For a change try your hand at a savoury version, wonderful with soups and salads or in a lunch box. Muffins can lift a simple meal into another realm. Place wet mix ingredients in a bowl and stir well. Add the dry mix and combine. 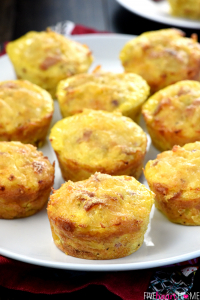 Place in prepared muffin pans, top with extra grated cheese and bake at 200 C for 25 – 30 mins. 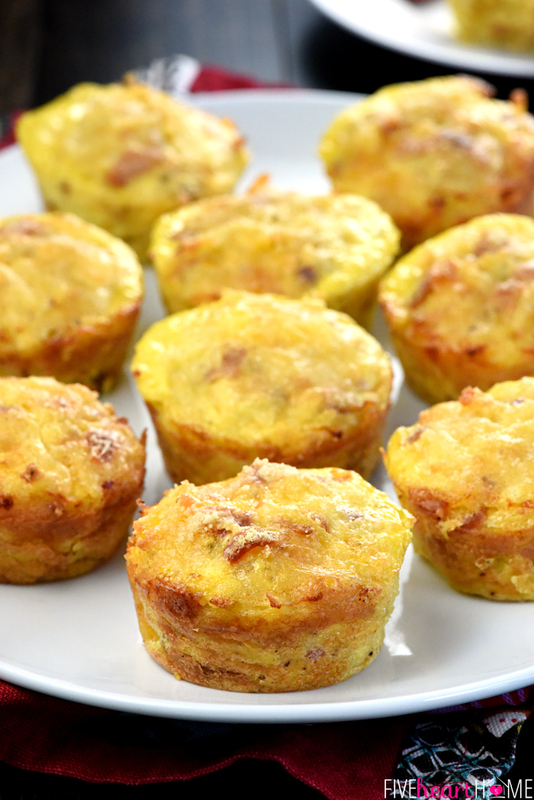 Muffins freeze well and are a great stand-by for family meals and unexpected guests. Imagine spinach and parmesan; mint and green pea; tomato and herb; mushroom and bacon; chutney and cheese; pesto or peaches and cream! Harvest days are here and I am busy chasing my garden’s bounty and the generous overflow of friends’ abundance. I’m loving the satisfaction of bottling and preserving – seeing the wonderful array of reused jars cadged throughout the year filled with summer goodness. My corn, leeks and tomatoes are jumping out of the garden demanding to be used. The following recipe for a polenta slice is really versatile – can be eaten hot or cold as a main meal, or as I did the other day, a bite-sized canapé with a spicy tomato kasundi salsa on top. It’s also vegan and gluten and diary free if you don’t want to add cheese in and on top. In a pan heat a tablespoon or so of oil and sauté the vegetables till tender (not brown) adding the garlic near the end. Put aside. In a medium saucepan bring 3 cups of vegetable stock to the boil. While the water is still simmering whisk the polenta into the stock. On a low heat continue to stir the polenta with a wooden spoon till it becomes thick and creamy – about 5 – 8 minutes. While it is still hot and creamy stir in the vegetable mixture. Add some parmesan now if you want. Season with salt and pepper to taste. In a small baking dish which has been lightly oiled, pour and spread the mixture evenly in the dish. This will set pretty quickly and hold its’ shape. Now one could eat it just like that cut into pieces cold, or you could bake it in an 180c oven till it gets lightly browned. Sprinkling cheese on top is good here but not necessary. 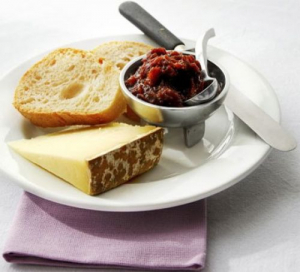 Serve with your choice of chutneys and sauces, with salad or vegetables on the side. Cold or hot. Put all ingredients in a large heavy saucepan and bring to the boil and simmer until the chutney is thick, stirring occasionally to prevent it sticking and burning on the bottom of the pan. Pour into clean jars whilst the mixture is still simmering then quickly screw on the lid. You know the chutney is properly sealed when you hear the lids ‘popping’. These jars don’t need to be refrigerated. While the following recipes barely qualify as local and seasonal they are ideally suited for hot weather dining. The first is a delicious American-style jellied salad which my mother used to make; the second is a quick and unusual jellied sweet. Drain pineapple. To the juice add enough water to make one and a half cups of liquid. Bring to the boil and pour over jelly crystals. Stir to dissolve. Add vinegar and salt then fold in other ingredients. Cool until set. Whip ingredients together and pour into a small slice pan lined with baking paper. Place in the refrigerator to set. The mixture separates into a firm jelly layer topped with an attractive creamy jelly. Cut into squares and serve as a sweet or light dessert. Store in the ‘frig covered with cling film. This can also be made from 3 cups of orange or other juice, sugar to taste, boiled, with 3 tablespoons of gelatine and 1 cup of cream. Nuts can be added for crunch and interest. For breakfast or morning tea how about using up the over-ripe bananas in the fruit bowl in some muffins with zing! Cream margarine and sugar, add eggs and remaining wet ingredients or use a food processor. Fold flour into wet mixture, place in prepared muffin pans and sprinkle over a mix of equal parts of garam masala and sugar. This adds an extra tang. Now that we are coming up to the festive season and some warm weather, I thought it might be nice to have a cold dish that could be served on Christmas Day. 3 titanium – strength gelatine leaves, softened in cold water for five minutes. Place ham hock, celery, carrot, onion and bay leaves in a large saucepan. Cover with cold water, and simmer for one hour. Add the chicken and simmer for a further 40 minutes. Remove from heat and set aside for 20 minutes for the chicken to finish cooking. Remove and discard skin from the chicken and ham. Shred the meat into large pieces, place in a bowl and set aside. Strain and reserve 500ml of the poaching liquid. Puree the parsley in a blender with a little of the poaching liquid. Squeeze excess water from the gelatine, stir in the reserved poaching liquid, the parsley, and season to taste with salt and ground black pepper. Line a 1.5 litre loaf tin or terrine mould with plastic wrap. Place chicken and ham evenly in the pan, pour in parsley and gelatine mixture. Cover and refrigerate overnight to set. Turn out terrine onto a board and cut thick slices with a warmed knife. Serve with hard boiled eggs, pickled cucumber, tomato salad and a mixed green salad. We all love spring. As a newbie gardener I am very excited to come back after a month away to see the broad beans that were sown months ago laden with pods. If your broad beans are young enough they don’t need to be double peeled, but in most cases after shelling your pods of beans, you blanch them in boiling salted water for a minute or so, refresh them in cold water and then peel the outer skin of the bean and you have a beautiful tender bean that can be used in lots of dishes. Preheat oven to 160C. Brush all sides of cubed bread with olive oil and place on baking tray. Bake until golden and crisp. Place onion in a small bowl and cover with the red wine vinegar, and set aside until needed. Place remaining oil in a large mixing bowl. Double peel your blanched broad beans, dropping them into the bowl. Add the tomatoes, olives, salad leaves, bread cubes, mint and parsley, then grind pepper to taste. Drizzle over lemon juice and mix. Add salt if you wish. Arrange salad in a shallow bowl or platter and add crumbled cheese and drained onion. All quantities are approximate and it can be made with whatever is in season. Process all ingredients together until smooth. Season to taste. Oh, and a yummy snack I had while I was away in Spain was Tomato on Bread. Basically it was fresh crusty bread with slices of fresh ripe tomatoes drizzled with extra virgin olive oil. Sprinkled with salt and a grind of pepper it was simplicity itself and totally delicious.